Top Gear – a victim of reputation? – HubNut – celebrating the average! Top Gear – a victim of reputation? I could scarcely believe it when I read so-called ‘news’ stories alleging that Top Gear was in trouble in Argentina. It just seemed hilarious that a registration plate could cause so much fuss. The story has snow-balled since then, and I wonder how. The allegation is that the number plate H982 FKL is somehow a direct reference to the Falklands War, which happened in 1982. I find this unlikely. First off, that number plate had been on that Porsche 928 since it was brand new. 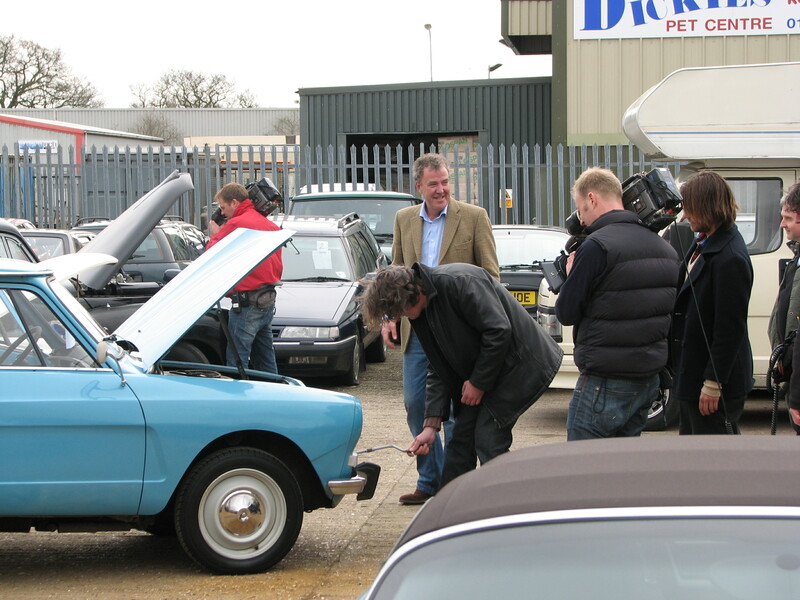 Secondly, Clarkson is well-known for liking 928s. He’s already destroyed one in the name of entertainment. How nice to be in a position where you can destroy lovely cars and get paid for it. I think I’d rather be skint. Which is convenient, as I am. I digress. The point is, the car was chosen for what it was, not because of the number plate it had worn since 1991. But, despite my increasing dislike of a programme that gets further away from being about motoring with every series, I have to side with the team here. They sound appalled that this situation has blown up. I believe they were caught out by sheer coincidence. It’s quite scary how many people outright refuse to believe this though. And that tells you where Top Gear has gone wrong. It has become so reliant on controversy that people are ready to believe that they deliberately provoked Argentina about a war in which hundreds of people died. They can honestly believe that it was just a joke to make people chuckle in the safety of their own homes. It is entirely reasonable to think that the team WANTED to be pelted with rocks and chased across the country. It doesn’t matter how much the production team try to deny it, many people consider it the truth – even though the story broke in the British gutter press. I even wonder if the Argentinians even knew there was a potential issue before someone had a word with them. After all, the team were three days from finishing filming on what is presumably a lengthy piece. It seems unlikely they’d want to create quite that much of a stir. Oh well. It seems Top Gear is reaping what it has sown now. I don’t believe they were in the wrong this time, but it just goes to show that if you court controversy, it’ll catch you out one day. I’ll stick to writing nice blogs and shooting nice, but hopeless, videos. Top Gear is from television land, while Classic Hub is genuine motoring journalism. Always interesting to read your thoughts and opinions on anything motoring and go on, make more videos?. Thanks for the kind comments Paul. More videos are being planned. They take some arranging, even when it’s just me and a couple of cameras.